Chanel 619 Pink Tonic is part of the 2014 Summer collection REFLETS D’ÉTÉ DE CHANEL. Check out the links below to see more of the entire collection. 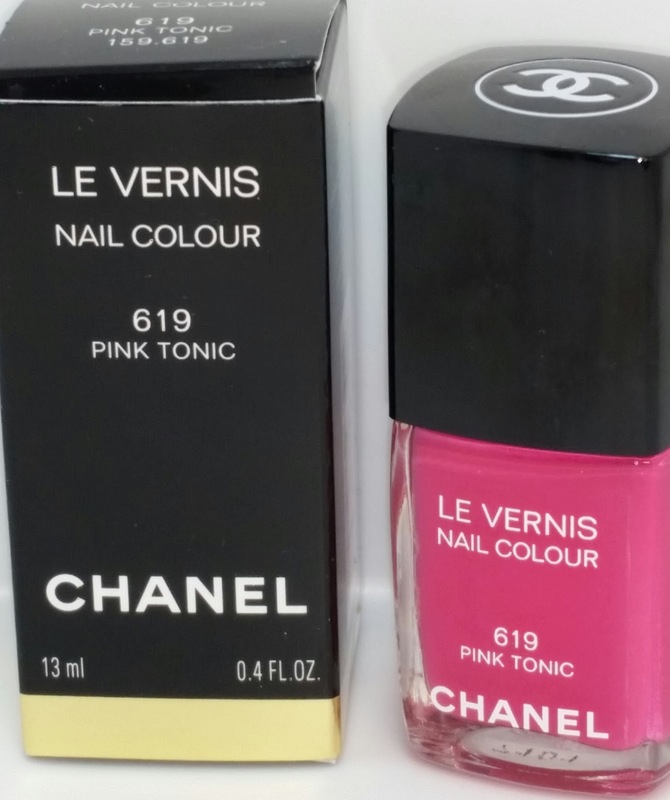 Chanel Le Vernis Nail Lacquer currently retails for $27.00 USD and contains .4 fl oz of product. There were five nail lacquers released with this collection (one was a re-promote from a previous collection) and this is the second one I have reviewed so far. When I first applied Pink Tonic to my nails I noticed right away how wonderful the formula was for this polish. I would even say it is one of the best because it applied so easily with no streaks and it was opaque with just one application. Once the polish had dried it maintained it's glossy shine and the color was still a vibrant fuchsia pink. The wear time for this polish was about three solid days with significant chipping at the tips by day four. If you are wanting to purchase a nail polish from this collection I would definitely recommend this one as a "Must Buy". 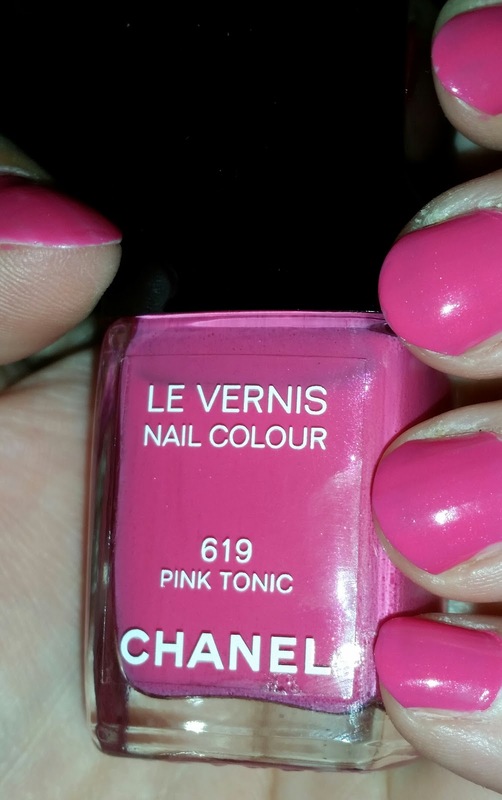 I love Pink Tonic, it is my absolute favorite from the Chanel Summer collection.